Is the connection issue already a turn-off? The Xbox One might look a little like a VCR from the 90s, but Microsoft promises that the console is future-proof enough for the next generation of the living room. Microsoft director of programming Larry Hryb confirmed during a Yahoo chat session that Ultra HD and 3D will be supported on the new console. "Xbox One supports both 3D and 4K," he said. Hryb didn't confirm whether this 4K support would be for games, or just photo and video like the PS4, although Microsoft's Yusuf Mehdi also told Forbes that the Xbox One will support Blu-ray from launch with the possibility of games using the resolution down the line. 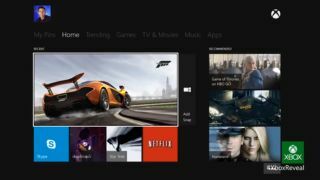 While the console won't require an "always on" connection to function, it will need to connect to the internet every 24 hours, as confirmed by Microsoft vp Phil Harrison to Kotaku. He said that the console "requires, at some point in the beginning and at various times through its on state, to connect to our cloud and to our internet," adding that the maximum time the console could go without connecting was about 24 hours. We also know that Xbox One will not function without Kinect working, though Microsoft promises that privacy-concerned users will be able to switch Kinect's detectors off when not using the console.